Greetings friends, from the Pacific shores of supernatural British Columbia, Canada, where at last it has stopped snowing. Judging from continental weather maps of late, it looks like many of you faithful fishers have also had your fill of winter. But never mind, I have news. 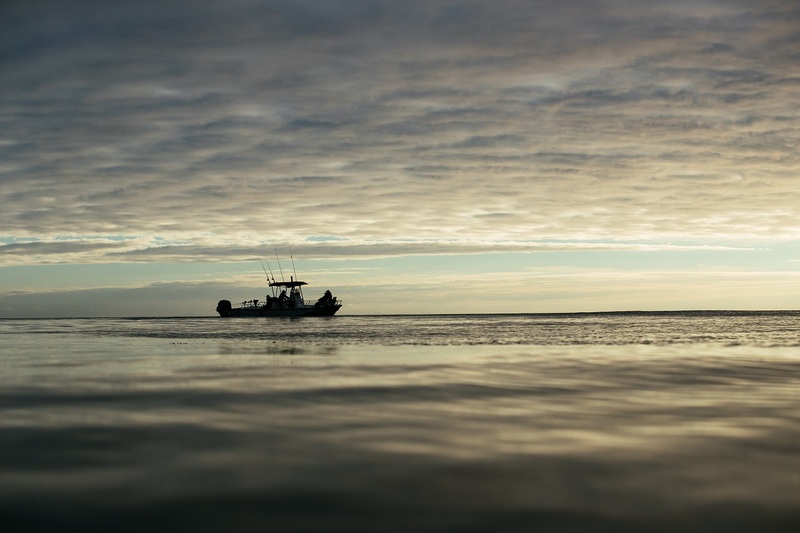 And it’s the kind of news that will remind you that warmer weather is on the way, and that it is only a matter of weeks until you and I and many other good people will again venture to the marine wilderness of Haida Gwaii. 2017 promises to have more opportunities for great release photos like this 58lb Tyee for David Bickford and guide Brent Gallacher. The news begins with numerous reports of very healthy populations of herring in various spawning grounds along the BC coast and Vancouver Island, which is arguably the most important early-season indicator. This blessed occurrence, along with the fact that early-season fishing is most often terrific up north, suggests that it was probably a good call to open The Clubhouse a touch earlier than usual this year, but more on that in a minute. With bait fish predicted in great numbers again this year, humpback’s should be a common sight! Second item is that the winter fishery in areas that are scarcely a crow’s flight from where I sit – Howe Sound, Gulf Islands and Southern Vancouver Island – has been relatively strong according to reliable sources. 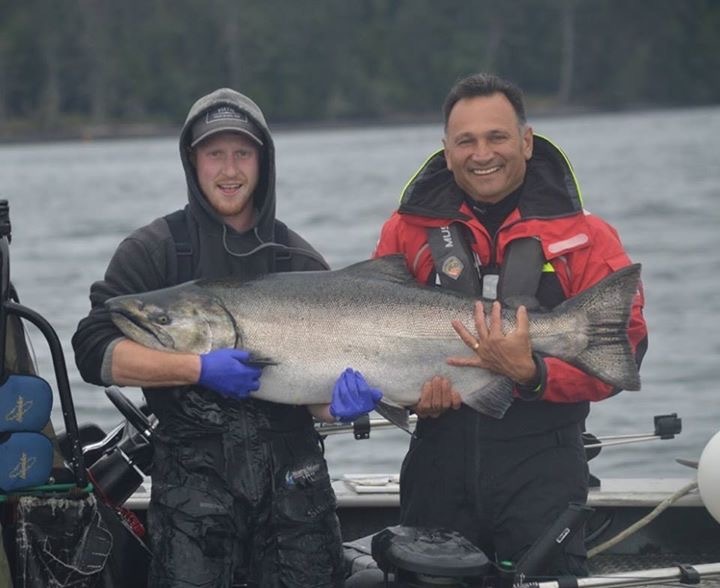 Those sources include long-time North Island Lodge manager, Todd McIntyre, who has lived and fished in these parts all of his life. Not only has there been good fishing for feeder Springs in the 10-15 pound range all winter according to Todd, but it seems that some of the Department of Fisheries and Oceans (DFO) scientists are predicting that 2017 will be a big year for the return of a good number of fish that are genetically destined to live as long as six, and even seven years. Hopefully this means that these monsters will be cruising the waters up north feeding on the aforementioned healthy populations of herring before heading south to any one of three different river systems where fisheries scientists have confirmed their lives began. 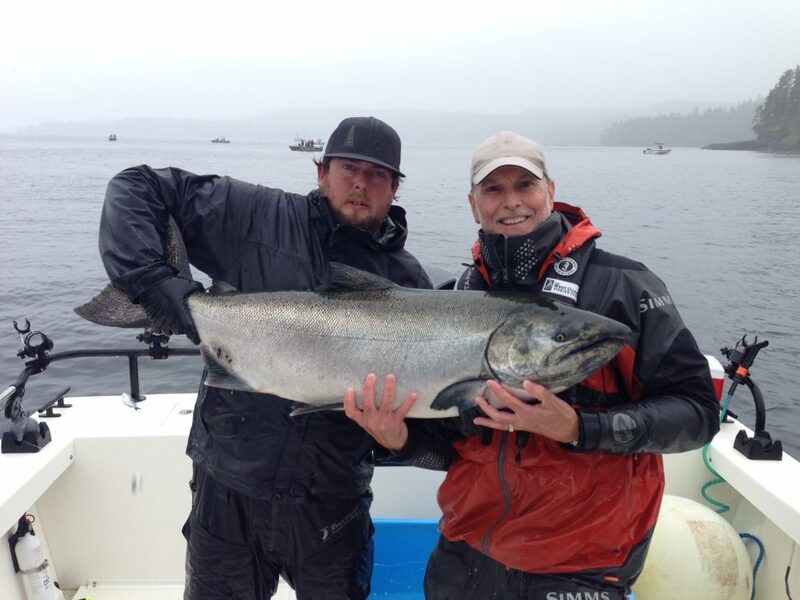 DFO predictions should produce more photos like guide Matt and guest David McKibbon’s 46lb Tyee! Todd remembers the DFO folks saying the same thing back in early 2001, and that they were dead right in their prediction. 2001 was indeed a vintage year for these senior citizen Tyees. Given the cyclical, and therefore somewhat predictable nature of annual Salmon returns, we can approach the upcoming season with an extra bit of optimism about doing business with one or two very large fish. 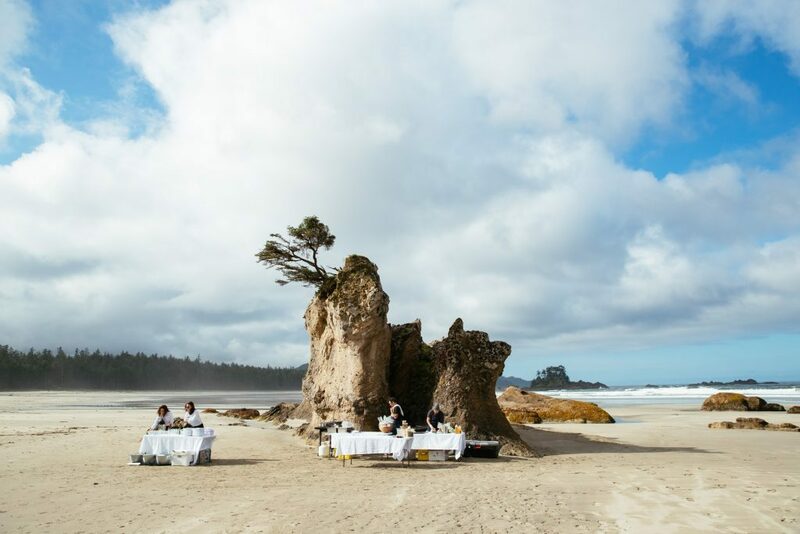 Looking forward to sunny days and special events in Haida Gwaii. The last piece of news is about that snow. It has been a long and unusually cold winter here on the west coast, with lots of snow to help maintain cold ocean temperatures, something that both Salmon and Herring must have in order to thrive. Cold water temperatures tend to result in fish moving and feeding more aggressively, which of course we all like. Not only that but the deep snow pack that accumulated in the high country this year will also be a boost to fish-rearing habitat in natal river systems. Ever thought of doing any pre-season training? I have begun a regimen that consists of three sets of 25 quick leaps up from a deck chair and grabbing a rod from a holder I attached to a fence rail, and for cardio I do 60 seconds of ultra-fast reeling at 30-second intervals for 20 minutes. I haven’t really. I just made that up. But in anticipation of another banner season just around the corner, I feel that a word of temperance is in order friends. Just because we can – and likely will – catch lots of fish in 2017 doesn’t mean that we have to keep as many as we may have in the past. As Todd points out, each year The Club’s guides get better at targeting fish, thanks to their accumulative experience and ongoing equipment improvements. That means that even when the fishing is slow, they can usually still put us on to enough fish to make our possession limits for all species. But do we really need to do that? I have concluded that I am as guilty as anybody of taking more than I need. Even though my wife and I have made our way through almost every recipe demonstrated in the Club’s fabulous Ocean-to-Table video series, and made endless pots of chowder, and given away many a slab of pristine wild Salmon to grateful neighbors, our freezer remains largely occupied. For that ecological felony, I submit to public shaming. 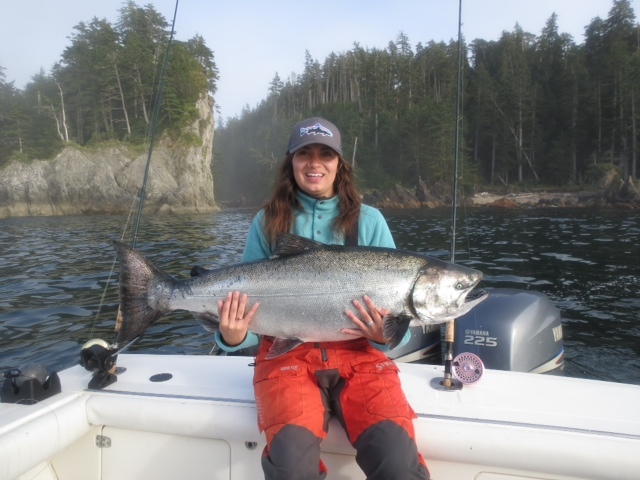 Lindsay Garske with her monster Chinook, a Tyee of some 43 lbs. And so this year I plan to exercise more control than ever before, and to carefully release every fish, save for a handful of teenagers and a Halibut or two. That will most assuredly be all that our household will need come next winter. I am also planning to cut another cheque to the Friends of the Yakoun River Society in support of their vision to restore a critically important river and the only Chinook Salmon hatchery in Haida Gwaii. I’ll also participate in The Club’s annual 50-50 draws for Salmon preservation. Like many of you, I want to do as much as I reasonably can to ensure future generations have the same rare privileges tomorrow that we do today. Thanks to catch and release efforts by guests like Gaby Mirza and guide Patrick Davies we will see more Tyee’s in the future! 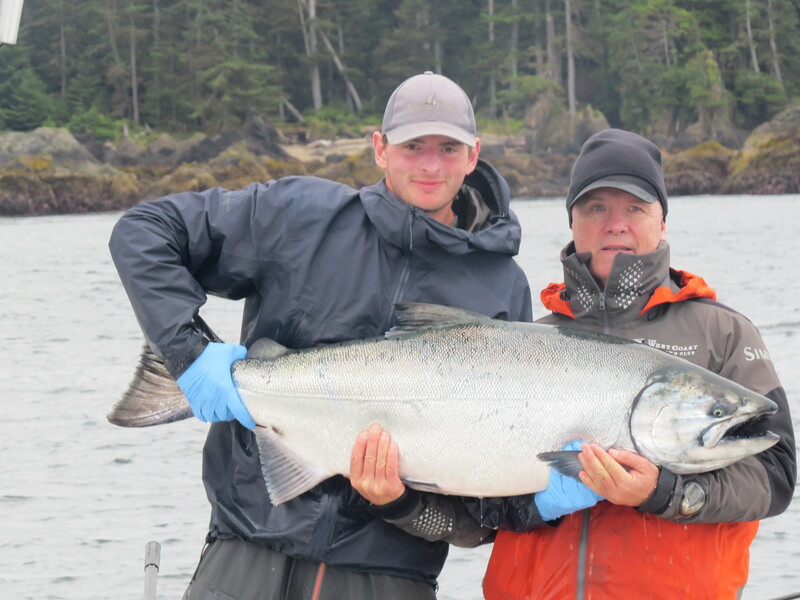 On that note, I’m mightily excited to be accompanied by my two step-sons and daughter in-law, all recent converts to The West Coast Fishing Club, on one of the first trips of the year – a rare five-night excursion to The Clubhouse May 23-27. But even before that, The Clubhouse will welcome members of the Young Presidents’ Organization to kick off the season about 10 days earlier than in recent years. 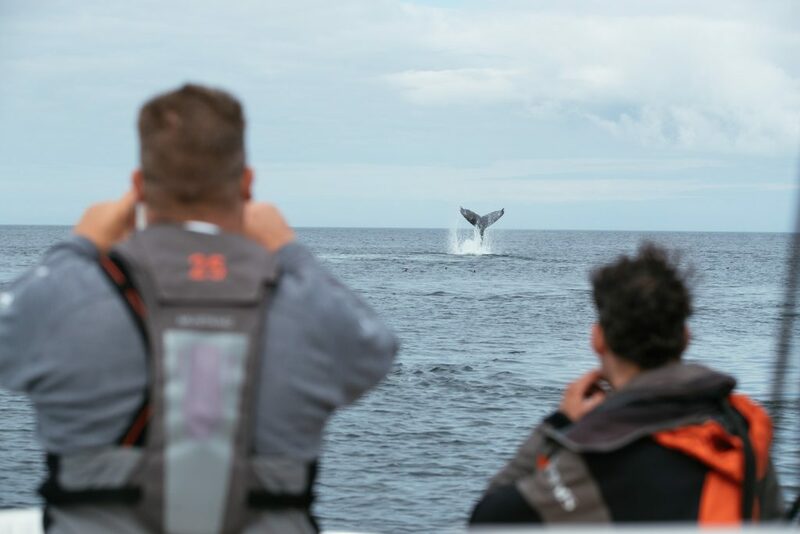 They are going to have a blast, and chances are they will see lots of action on the water, including excellent Halibut fishing that tends to be present in early season. 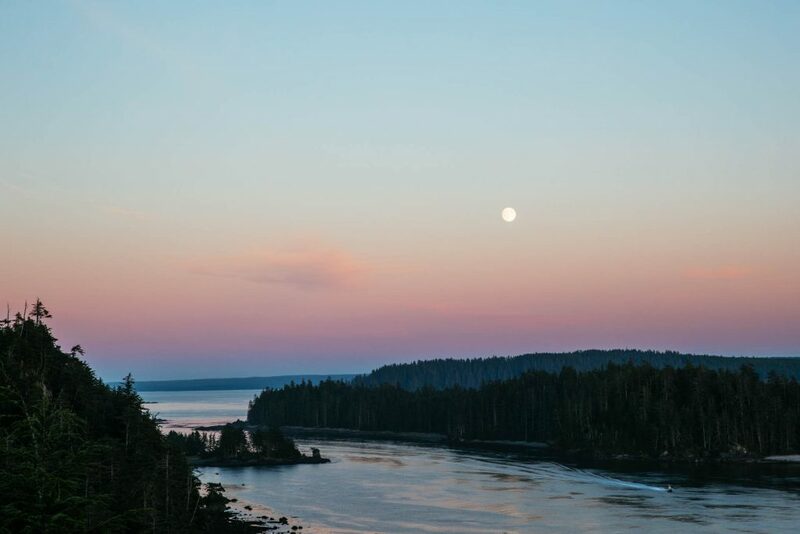 We look forward to more spectacular evenings like this in mystical Haida Gwaii this season. North Island Lodge kicks off 2017 with the third annual Ultimate Grill Showdown May 28 – June 1. The first guests of the season down Port Louis way will touch down at The Outpost on June 2. Just a few more weeks to go friends. Until then, stay safe and well. Todd…Thanks for the lunch meeting a few weeks ago. I hope your tips and advice pay off in June. North Island rocks ! Hi Gerry, thank you! It will be a spectacular weekend at The Clubhouse with the SNC Salmon Derby taking place. We look forward to welcoming you on your first trip – it’ll be here before we know it.